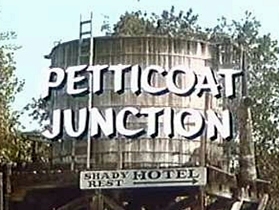 This was basically a story about a hotel (Shady Rest Hotel) , a sleepy little rural farming town (Hooterville) and the train that connected them together ( Hooterville Cannonball). 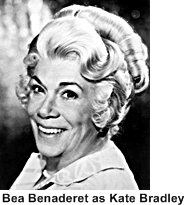 The petticoat part came from the hotel’s propitiator’s, Kate Bradley (Bea Benaderet)three young daughters, Billie Jo Bradley, Bobbie Jo Bradley and Betty Jo Bradley. 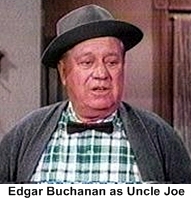 They all lived at the hotel with their somewhat slow thinking and slower moving Uncle Joe Carson (Edgar Buchanan). 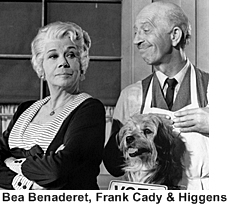 They would often wind up at the general store in Hooterville which was owned by Sam Drucker (Frank Cady) who’s character and actor can also be found in Green Acres” and “The Beverly Hillbillies” which makes him the only actor to appear on three sitcoms at the same time! 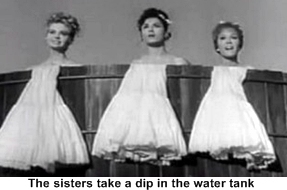 The shows humor revolves around the situations that poor Uncle Joe creates in trying out his hair-brained schemes to bring more business to the hotel or in various dire situations the girls manage to get into on their own. 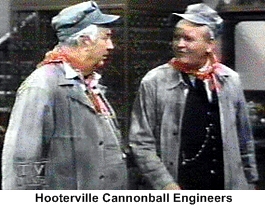 Lets not forget the train the Hooterville Cannonball, it connects The Shady Rest Hotel with Hooterville and is featured one way or another in almost every episode. The conductors were Charley Pratt (Smiley Burnette)and Floyd Smoot (Rufe Davis) who not only ran the train but managed to have opinions on most everything else as well. Oh by the way this was yet another prime time sitcom featuring a single parent household! 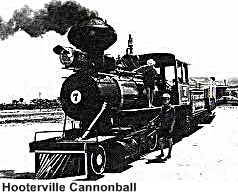 The action shots of the Hooterville Cannonball were actually of a real train in Sonora, CA. That train (and the real water tower) were used in dozens of westerns during the 1940s and ’50s. The close up shots were of a mockup prop train in Hollywood. 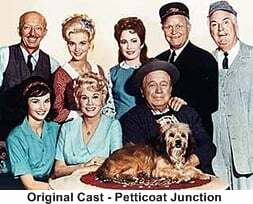 In 1967, the characters Betty Jo and Steve Elliot were married on the show. Ten months later, Linda Henning (who played Betty Jo) and Mike Minor (who played Steve Elliot) were married in real-life. Steve was originally scripted to date Bobbie Jo but his off screen romance with Henning led to a script rewrite for more believable character interactions.